The Beautiful Mind Series is a celebration of women; a tribute to powerful, successful, driven, passionate, dedicated, creative and wonderful women all over the world. 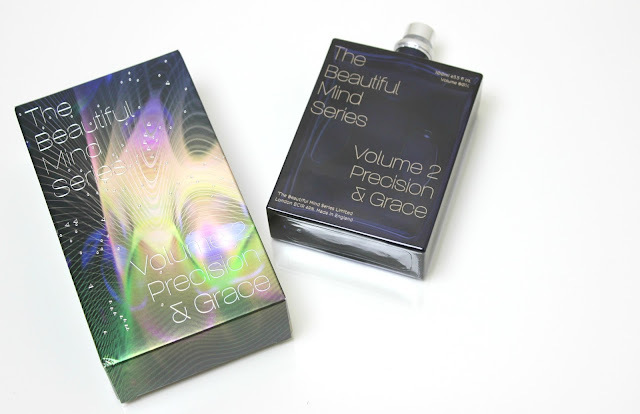 A series which comprises of two individual scents, Volume 1 and Volume 2, each has been developed by world renowned and highly respected Geza Schoen. Each Volume is a dedication to his muses, to the women who inspire, who have impacted his life. A change from over-produced and mimicked scents, fragrances which stand out, which tease the olfactory bulbs and enrich our senses. With light and refreshing top notes of Williams Pear, Bergamot, Mandarin and Lemon teamed with beautiful floral middle notes of Egyptian Jasmine, Plum, Osmanthus, Mimosa, Schinus Molle, Freesia, Violet and Rose before being finished off with warm and heady notes of Sandalwood, Castoreum, Myrrh, Moss and Amber, Precision & Grace is unlike any other fragrance in my collection. It's feminine and sensuous but has an undeniable masculine undertone that's bold without being too overpowering. The Mandarin and Lemon are the scents that pull through the most for me once first applied, with the scent lingering well for a few hours as the day goes on, becoming softer and more gentle as the lovely floral middle notes pull through and leaving a lovely warming hint of Sandalwood and Amber. Precision & Grace has been inspired by International ballet dancer Polina Semianova, a fragrance which represents memories of Polina's childhood with the physical and emotion expression she shares through her dance. Presented in a 100ml deep sapphire blue glass bottle that has a beautifully bold shape, with gold detailing for the lettering and truly beautiful fluid design. 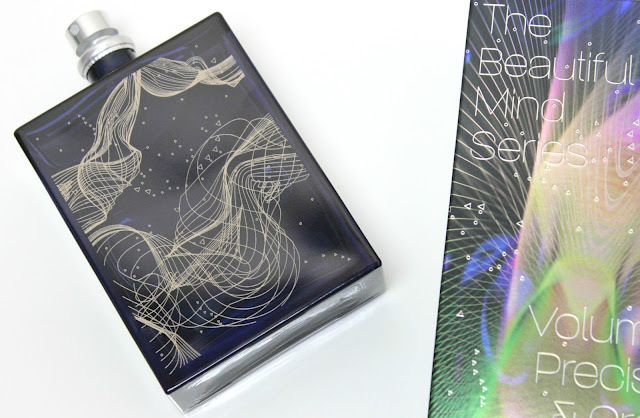 There's no denying the presentation of this fragrance is truly magnificent, a bottle which does the scent justice. The scent is absolutely beautiful and one which I have reached for daily over recent weeks. It's a scent that would make a perfect choice as a signature scent, or an extravagant gift for a special occasion. Would I repurchase? Unfortunately not, as although I really am smitten with the tone and depth of this scent, the price tag is not one for the faint hearted; 100ml will set you back £95. That said, if this is within your budget and you're looking for a new scent to take you into 2016, this might just be the one. Exquisite in every sense of the word. sounds lovely but that is a hefty price tag!